There are few things creepier than an old apartment building that has seen better days. The clanking sounds of the elevator, gaudy interiors, and dim lighting offer the perfect recipe for a horror movie. Who visits these places and decides they’re the best options for home? The answer is Rosemary and Guy Woodhouse, at least in the mind of Roman Polanski. Mia Farrow and John Cassavetes play the couple who rent a large, yet strangely cold apartment in New York City. There are hints during their visit that all is not right, including a closet blocked by a dresser. Rosemary sees the charm behind the façade, and Guy only cares about his acting career. What could go wrong? The neighbors may be nosy, but that isn’t enough. The young couple is ready to start a family and enter the next stage of adulthood. All seems right on the surface, but it masks issues that will send them down a dark path. This premise sets the stage for Polanski’s adaptation of Rosemary’s Baby, considered one of the classic horror films. It isn’t your standard genre picture and exists more in the realm of paranoid thrillers than what we’d call “horror”. Even so, supernatural elements play a key role, and everyone is set against Rosemary. Polanski creates an environment where every citizen seems dangerous and no one is trustworthy. A respected doctor may not be there to help her, and apparently harmless elderly neighbors have a sinister intent. This film was released a year before the tragic death of Polanski’s wife Sharon Tate, but it contains the fear that would only increase after that event. Rosemary trusts her husband and others, and there’s little she can do when the truth is revealed. The story involves the devil and witches, but the greatest betrayal isn’t supernatural. Cassavetes is known for directing movies that feel authentic like Faces and A Woman Under the Influence. That background creates an interesting contrast with his phony role in this film. Guy sits inches from the TV and studies actors, but he understands nothing about real people. He strolls into the room like he’s playing a character and is uncomfortable interacting with his wife. It takes little for the evil Minnie and Roman Castavet (Ruth Gordon and Sidney Blackmer) to convince him to betray Rosemary. He can claim it’s for their future, but it’s really all about Guy. He’s one of the truly vile narcissists that I’ve ever seen on screen, and there are no redeeming qualities. Anyone who’s willing to sell his wife and child to Satan is pure evil. His obsession with getting famous is a weakness that’s easily exploited, and Rosemary lets a lot go before recognizing his true nature. It’s tricky to label Rosemary’s Baby as “scary” because it includes odd moments that are hard to take seriously. The dream sequence is creative and eerie, but it also generates a few laughs. 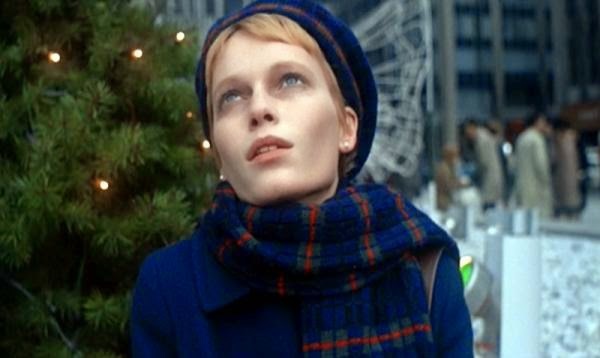 Mia Farrow keeps it grounded with her confused reactions, and her paranoia helps it to avoid going off the rails. A simple moment of her standing in a phone booth is surprisingly tense because Farrow sells it. When a creepy-looking man stands behind her waiting for his turn, we’re certain he’s part of the conspiracy. Those scenes work much better than having a character yell “Satan lives!” with glee. There’s a B-movie charm to that moment, but it differs so dramatically from the more believable terror. Much of the tension comes from the art direction, which brings a claustrophobic feeling to the apartment. It feels like the walls are designed to keep Rosemary from even moving. The outside world of the city seems even more dangerous despite the vast spaces. It’s a partial escape from the scrutiny, but how can you escape when everyone has been corrupted? Polanski takes his time and allows the action to play out over long takes. Rosemary grows sickly and pale, and there’s a fear of the unknown that isn’t just about the devil. The pregnancy itself is mysterious and possibly deadly, and Rosemary has nowhere turn for salvation. When a possible escape route appears, there’s a sense that it’s a futile endeavor. Polanski creates a world that offers little hope for a happy ending. NBC aired a four-hour miniseries of Rosemary’s Baby back in May, and the reviews were not kind. It starred Zoe Saldana and moved the setting to Paris. I haven’t seen the remake and don’t have much interest. It would be impossible not to compare it to Polanski’s film, and I doubt it would improve. That’s not to say that the original is perfect, however. What sticks with me is the dire mood and pessimism about humanity’s future. Rosemary’s options are to comply or jump out the window. 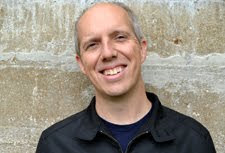 Despite some awkward moments, the cynicism still connects to our modern world. There’s a reason that Polanski’s films tend to hold up well; they spring from the mind of a guy who sees the dark world. In a similar way to Jake at the end of Chinatown, Rosemary must forget the horror and live with the devil. Definitely one of the best horror films that I had ever seen. I hope to get the Criterion DVD as I just want to own it as it will scare the hell out of my mother who hates the film because it was scary as she is sort of a devoted Catholic. I expect the "God is dead" idea probably wouldn't play that well with your mom. You get the sense from the movie that there's little chance for any type of savior for Rosemary. It's a pretty cynical movie. I watched (or re-watched...) this earlier this year, I believe. Either that or before I went to Korea last year. Either way, it was relatively recently. I'm a fan of Polanski, though I wasn't entirely blown away by this. I barely recall anything that happens in this movie. It wasn't bad by any means. It was just a bit too slow and not what I was really hoping for. I can see that. What sticks with me is the sense of dread in the entire thing. It is slow-moving and not that scary in the conventional sense, but it's so dreary about everything happening to Rosemary. "He has his father's eyes" is probably my favorite quote from the movie. I thought this was an effective thriller despite the fact that I'm not a believer in the devil. I almost think the supernatural side is secondary to a lot of it. There's as much of a fear of the unknown of having a child in a scary big city. Rosemary's Baby is a wonderful, slow burn horror flick. 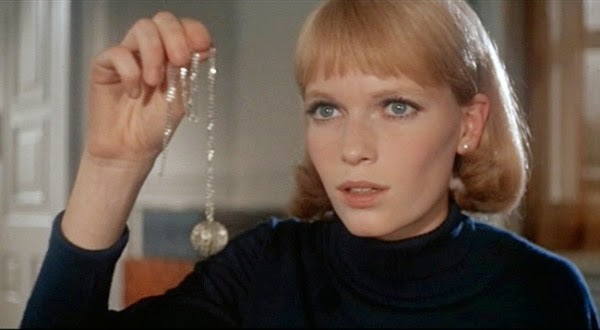 As you implied, it's all possible because of the magnificent performance of Mia Farrow. Ruth Gordon was also outstanding. For me, SPOILER ALERT, what lands the plane is the restraint Polanski showed by NOT showing us the baby. Leaving it to our imagination is so much more powerful than whatever he and and fx team could have dreamed up. And yeah, this is a very cynical movie. Great review. I can't imagine anything living up to what our mind imagines when Rosemary looks at the crib. That scene is already a little silly with the chants, but it holds together because of Polanski's choice. I love what you said about the ending to this film and Chinatown. They're such bleak conclusions to such major films. Very few mainstream directors would have the stones to get away with something like that today. And I was also a bit curious about that TV remake. But those nasty reviews kept me away. The whole thing just seemed so unnecessary to me. From what I've read, the remake was as bad as you might expect. It also seemed to stick pretty close to the movie but extended it by another hour (if you don't count commercials). Polanski's films can be so bleak with their endings. It's like a gut punch, especially when you've spent that much time with a character. The Ghost Writer is no different.